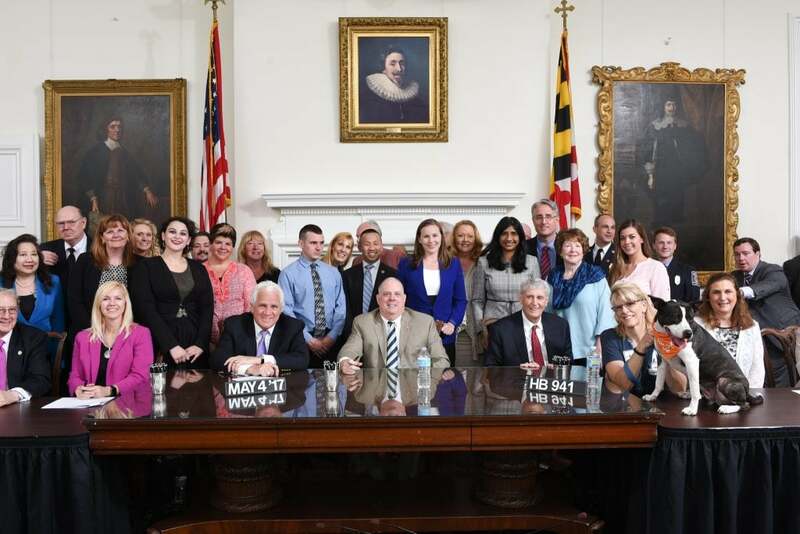 Governor Hogan Signs the Animal Abuse Compensation Fund Bill - Maryland Votes for Animals, Inc. When animals are seized in large-scale cruelty cases like a puppy mill or animal fighting operation, the animal shelters that take in these victims incur a tremendous cost to care for them. These costs can be ongoing while the cases are waiting to be heard in court. This bill establishes a fund to help reimburse those shelters for these costs. This fund will allow more shelters to step forward when care is needed without concern that they will run out of funds to operate. Thanks to sponsors Delegate Aruna Miller and Senator Rich Madaleno for this important legislation.